a co-creation by motorola and Google. 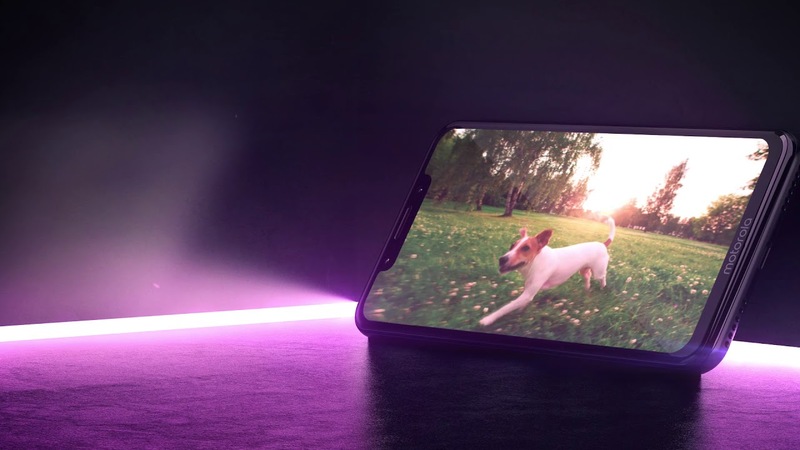 Be ready for anything with motorola one power, a co-creation by motorola and Google. Introducing motorola one power, with a massive 5000 mAh battery, a 15.7cm Max Vision Full HD+ screen with an aspect ratio 19:9, 4 GB of RAM, and a Qualcomm® Snapdragon™ 636 octa-core processor. Google Lens lets you search what you see, get stuff done faster, and interact with the world around you. Find products online, copy and paste text, learn more about landmarks, add events to your calendar, look up movie posters, identify popular plants and animals, and more. Immerse yourself in games, books, movies and more on a huge screen that you can hold comfortably with one hand. Feel the power of a Qualcomm® Snapdragon™ processor and 4 GB memory while playing games, watching movies and more. The 16 MP + 5 MP dual rear camera system makes sure every shot is your best. Plus, the 12 MP front camera lets you turn everyday selfies into extraordinary ones. * Certain features, functionality and product specifications may be network dependent and subject to additional terms, conditions, and charges. All are subject to change without notice. MOTOROLA and the Stylized M Logo are registered trademarks of Motorola Trademark Holdings, LLC. All other trademarks are the property of their respective owners. ©2018 Motorola Mobility LLC. All rights reserved. Motorola One is designed and manufactured by/for Motorola Mobility, a wholly owned subsidiary of Lenovo. † Battery must be substantially depleted; charging rate slows as charging progresses. All battery life claims are approximate and based on a mixed use profile (which includes both usage and standby time) under optimal network conditions. Actual battery performance will vary and depends on many factors including signal strength, network configuration, age of battery, operating temperature, features selected, device settings, and voice, data, and other application usage patterns. ‡ The phone initially launched on Android O, and will receive OS upgrades to P and Q; security updates will be provided for three years from the initial global launch date of September 13, 2018. ** Google, Android One, and other marks are trademarks of Google LLC. †† Free storage at high quality, requires a Google account and internet connection.